Boron clusters and organic molecules display manifestly different electronic, physical, chemical and geometrical characteristics. These differences highlight the complementarity of organic synthons and boron clusters, and therefore the feasibility of producing hybrid polymers incorporating both types of fragments. 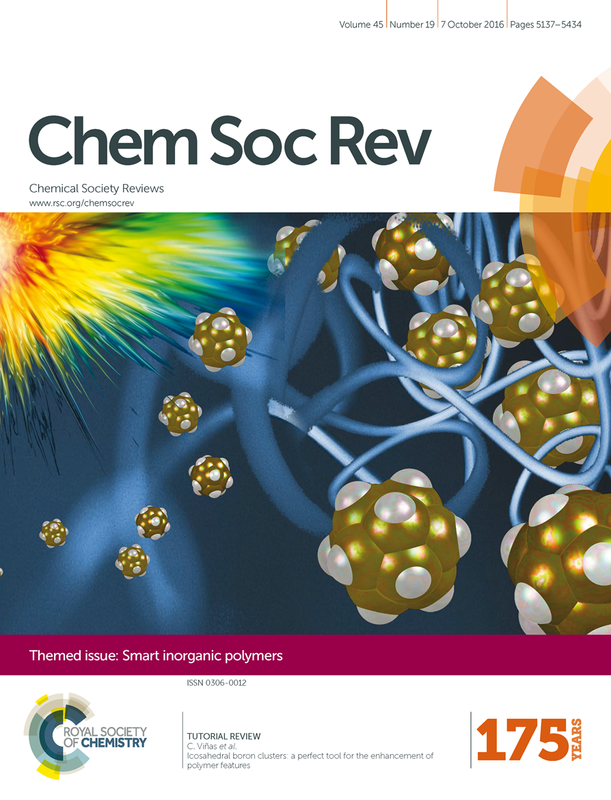 This review focuses on the development of hybrid organic–inorganic π conjugated, silane, siloxane and coordination polymers containing icosahedral boron clusters in the last few decades, which have received considerable academic and technological interest due to the combination of the electronic, optical and thermal properties of traditional inorganic materials with many of the desirable properties of organic plastics, including mechanical flexibility and low production costs.